Home/Discovery/Blogs/How You Can Profit From Crypto Airdrops… And Avoid Scams Along The Way. Airdrops are a central feature of the cryptocurrency space. The first time I participated in an airdrop I didn’t even fully understand what it was or the value of the tokens I received. I was new to crypto and had read something on social media about “free ETH”. I followed the link and provided my ETH address. In actuality, no one was giving out free ethereum. A startup was airdropping their new token. The amount they were giving away was going to cost .5 ETH during their upcoming Initial Coin Offering (ICO). I got the tokens but it wasn’t until later I understood I had 1000 ERC20 tokens that could eventually be worth something on an exchange. Since then, I have participated in hundreds of airdrop campaigns and made some profits. I want to share my experience navigating the world of airdrops, as well as the scams I saw along the way. 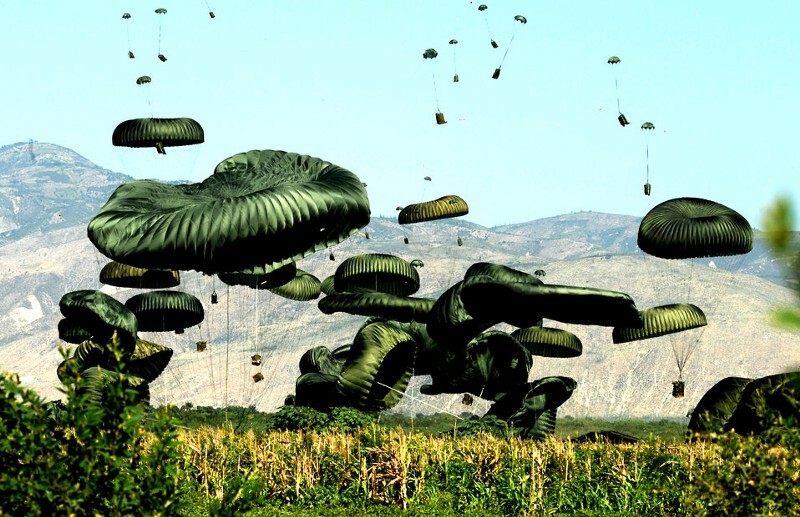 The concept of an airdrop is simple. It involves a business “dropping” small amounts of free crypto en mass to individual wallets. Benefitting from an airdrop usually involves registering through a google form, a Telegram bot, or directly on a project’s website. Often an airdrop campaign will also offer the chance to get additional tokens for referring others via a unique link. The referral system creates an incentive to share the airdrop with as many people as possible. Many people hear about airdrops through individuals sharing their links on social media. A subtype of airdrop known as a “holders” airdrop is when a token is airdropped to wallets that already hold another type of token or coin. For example, there was recently an airdrop of the Ontology token to holders of NEO. Holders’ airdrops are typically not something you have to register for. They are done by taking a snapshot of a blockchain to see which wallets are holding what tokens. In what follows, I focus exclusively on non-holders’ airdrops. This is because holders’ airdrops are not relevant to most crypto beginners. Also, they take no work to find and no action is required to receive them. What is the Point of an Airdrop? There are two main reasons blockchain startups and other projects would hold an airdrop. The first is to generate publicity for an upcoming ICO or token sale. Airdrops are often the first phase of a more extensive marketing campaign. They can be useful in generating initial buzz around a project. The referral bonuses also motivate people to spread the word, which generates more low-cost advertising. Secondly, an airdrop is an excellent way to build a community around a project, even if not holding an ICO. I’ve seen many community-based and non-profit crypto projects use the airdrop model as a way of building awareness of their goals. The first step in profiting from airdrops is finding them. Not long ago, you had to be a frequenter of crypto sites, such as Bitcointalk, to hear about new airdrops. Increasingly, however, airdrops are easier to find. This is mainly due to the emergence of dedicated airdrop websites and social media channels that track airdrops and post them daily. These aggregating sources make finding airdrops easier, and those who maintain them benefit from people using their referral links. Every once in a while an airdrop can be hugely profitable. The best example in my experience was a recent airdrop of Oyster Pearl. I received over 2400 PRL, which eventually went up in value to over $5 per token. I sold just under half of my holdings. The airdrop I received of Polymath is slightly more common, yet still not typical, result. I got 250 POLY, which has since hovered in value between $90-$200. More often than not, however, the amount of tokens you get is so small it is barely worth the gas to send it to an exchange. Many tokens will also never be worth anything at all, either because the project wasn’t serious or it just fails as a business. Something to consider when beginning to venture into the world of airdrops is there are some scams out there. Below, I describe the most common airdrop scams I have come across and how you can avoid them. Not all airdrops are focused on building value or community. In a dump airdrop, the goal for the developers is to generate short-term buzz about a token so that people will be eager to buy it when it hits exchanges. Once it does, the developers quickly sell (dump) all their tokens for a tidy profit. Once they have dumped as many as possible they just disappear and the project becomes inactive. Arguably, this is not a straight-up scam since the token is real. However, the goal is to create a situation where the developers benefit financially from dumping tokens they have no plans to develop further. An excellent example of a dump airdrop was EDOGE in 2017. The EDOGE developers claimed to be trying to breathe new life into Dogecoin by creating a version on the ethereum blockchain. The project sent 5 million EDOGE to those who registered for the airdrop. The developers succeeded in creating a buzz. Yet, when the token hit exchanges airdrop recipients discovered their tokens were locked, which meant they weren’t able to send them. Meanwhile, hundreds of millions of EDOGE was being dumped on multiple exchanges. The strong suspicion was the developers were selling off all the tokens they had held back for themselves. The price of EDOGE quickly plummeted to a point where it became virtually worthless. The project was abandoned and its social media accounts went dead. It can be hard to spot a dump airdrop but a good approach is to spend a bit of time with the project’s website and whitepaper. Typically, those behind a dump airdrop will not put much time into either and the superficiality will show through. Private key scams are airdrops that are entirely fake. They are designed to trick you into giving out the private key to your wallet. A legitimate airdrop asks participants for their wallet’s public address. A scam airdrop, however, asks for the private key to your wallet as well. Those who don’t fully understand how a crypto wallet works and/or how little you can trust people on the internet are most likely to fall victim to this scam. Avoiding this scam is simple is easy. Do not give out your private key for any reason. If you are ever asked for it, be it on a form, a website, or through direct messaging, do not give it out because you are dealing with a scam. There is no reason a private key is needed for an airdrop. The only reason someone would ask for it is that they want to steal whatever is in your wallet. Another type of scam airdrop I came across was designed to collect personal information, either to sell to third parties and/or to use for future phishing attempts. These scams claim to be giving away tokens but the projects are fake. The goal is to get your email address, wallet address, social media info, etc. While a bit less dangerous than private key scams, these are still very risky. I participated in some early on in my crypto career and noticed a lot of phishing emails coming through my inbox. The best way to avoid an information trolling airdrop is to research the project that is apparently behind it. Most do not even have a website, let alone a whitepaper or social media presence. If a project has no website or whitepaper, any airdrop it is advertising should be avoided. I’ve also encountered what I like to call “bait and switch” airdrops. This scam lies in tricking you into signing up for other things so someone else gets referral credit. Sometimes the referrals are for other airdrops. In this case, you could be asked to sign up for “partner” airdrops. The reality is these are not partners. The airdrop form is merely a smart way for a scammer to generate referrals. Another version of this scam asks you to sign up to a specific crypto exchange so the scammer can benefit from a referral. Yet another version I’ve seen tries to get you to join pump and dump groups, often on discord or Telegram. In all these cases, the common denominator is the airdrop is fake and the form just a way of getting you to sign up for other things. Bait and switch scams don’t cost anything, but they are an annoying waste of time. They can also be tricky to spot because legitimate airdrops do ask you to join social media accounts or register on their website. A bait and switch airdrop will ask you to sign up for other projects, create accounts on exchanges, or join a discord or Telegram group not explicitly dedicated to the project supposedly behind the airdrop. The best way to avoid them is to not participate in any airdrop that asks you to sign up to unrelated projects or social media channels. Despite the caveats mentioned above, airdrops are a fun way of getting into cryptocurrency and finding out about new blockchain projects. Every once in a while an airdrop can also be hugely profitable. My advice is just to hold onto to airdrop tokens on the chance they become valuable in the future, or at least worth enough to sell for a decent amount of BTC or ETH during the next bull market. I would also recommend taking a look at the project behind an airdrop to see if it has any chance of succeeding. If the project looks genuinely hopeless, I would pass, no matter how many tokens are being given away. Subscribe to my Twitter channel if you like my articles and want to learn more about blockchain and cryptocurrency projects. Please check out my other channels via my BlockDelta profile page.